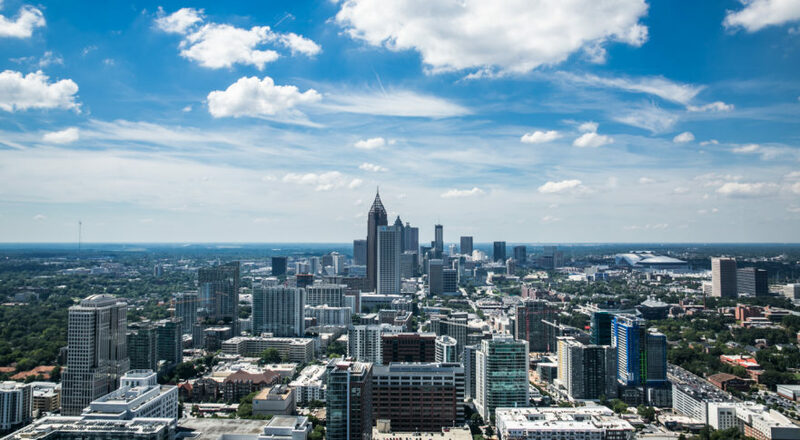 ATLANTA – April 9, 2018 – The Community Foundation for Greater Atlanta announces the GoATL Fund (GoATL), an impact investment fund designed to support long term sustainability of programs and solutions that address the region’s areas of greatest need. GoATL’s first investment, a $750,000 commitment to Atlanta Neighborhood Development Partnership, Inc. (ANDP) will help grow their successful single-family revitalization programs in order to expand housing affordability in targeted neighborhoods in the region. The GoATL Fund, the first of its kind in Atlanta, seeks to generate a positive social outcome along with a financial return. Through impact investing, funders look for ways to strategically invest new forms of capital to scale and sustain nonprofits and social-purpose for-profits. Unlike traditional philanthropy that typically relies on grants, GoATL’s impact investments are structured as flexible, cost-effective loans that are expected to be paid back, thus recycling the dollars to consistently fund new initiatives into the future. The GoATL Fund intends to make investments primarily through organizations, like ANDP, or other Community Development Financial Institutions (CFDIs), that have the knowledge and expertise of how to deploy loan capital for critical needs in our region. The long-term goal of GoATL is to provide cost-effective, flexible loans to the region’s social initiatives that align with the Community Foundation’s five Impact Areas: Arts, Community Development, Education, Nonprofit Effectiveness and Well-being. Initially capitalized with $10 million in seed capital from the Foundation’s unrestricted assets, the Fund will invest through intermediaries to support such initiatives. More information about the GoATL Fund can be found here. Since 1951, the Community Foundation for Greater Atlanta has been connecting the passions of philanthropists with the purposes of nonprofits doing that work. With 66 years serving the 23-county Atlanta region and a robust team of experts, the Community Foundation manages the behind-the-scenes details, empowering our donors to focus on the joy of giving. The Community Foundation is a top-20 community foundation nationally (of approximately 800 community foundations) with approximately $1.1 billion (unaudited) in current assets and is Georgia’s second largest foundation. Through its quality services and innovative leadership on community issues, the Foundation received more than $144 million from donors in 2017 and distributed more than $97 million that same year to support nonprofits throughout the region and beyond. In 2016 Charity Navigator named the Community Foundation a four-star rated nonprofit, its top distinction. For more information, visit: cfgreateratlanta.org or connect with the Foundation via Facebook, LinkedIn and Twitter.